Edited by Dean Goh for ProButterfly. All examples and stocks quoted here in this article and on the ProButterflyTM site are for learning purposes; it does NOT constitute financial advice or a Buy/Sell recommendation. Contents are reflective of personal views and readers are responsible for their own investments and are advised to perform their own independent due diligence and take into account their own financial situation. If in any doubt about the investment action you should take, you should consult a professional certified financial advisor. The "Malaysian General Elections (GE14) – An Investors Perspective" series is intended to discuss and generate investment themes and ideas, but it should NOT be misconstrued or otherwise interpreted as financial advice. 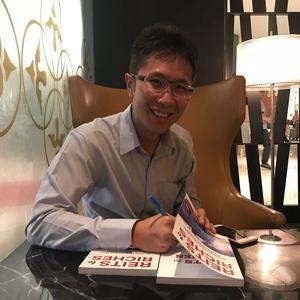 In our previous articles in this series, we covered a summary of the major points of the new Pakatan Harapan government manifesto. Abolish the GST and take steps to reduce cost of living. Stabilise the price of petrol and introduce targeted petrol subsidies. Abolish unnecessary debts that have been imposed on FELDA settlers. Equalise the minimum wage nationally and start the processes to increase the minimum wage. Postpone the repayment of PTPTN to all graduates whose salaries are below RM4,000 per month and abolish the blacklisting policy. Set up Royal Commissions of Inquiry on 1MDB, FELDA, MARA and Tabung Haji, and to reform the governance of these bodies. Set up a Special Cabinet Committee to properly enforce the Malaysia Agreement 1963. Introduce Skim Peduli Sihat with RM500 worth of funding for the B40 group for basic treatments in registered private clinics. Initiate a comprehensive review of all megaprojects that have been awarded to foreign countries. Taking the 10 promises and 5 key pillars at face value and assume that the new PH government will see through its promises and implement them in the most efficient and practical way. This week, we will cover stocks in Group 3 which could potentially be impact by the Removal of GST. The GST or also known as the Value Added Tax (VAT) is a form of efficient and indirect consumption tax where a tax is levied at every value creation/addition stage of the value chain from production, manufacturing, wholesale, delivery and retail and consumption. Each time value is added to the goods or service, a tax is levied. On the other hand, the Sales and Services Tax (SST) is a single level tax where only the final output is taxed after being taken out of the factory and shipped to consumers. In a swift and decisive action, the PH government announced the lowering of the current 6% GST to 0% effective from 01-Jun-2018 and will reintroduce the SST. In fact, the GST has not yet been abolished though the rate has been changed to 0%. This means that the infrastructure for GST is still present but the effective tax rate is zero. This gives the government flexibility to reinstate the GST quickly and effectively in the future. In general, the sentiments of the people have been very positive towards the 0% GST rate. The 0% GST will reduce the inflation rate of the country and would see stocks in the consumer retail sector as the major beneficiaries of this change. We share a very useful info-graphic explaining the difference between the GST and the SST produced by Astro Awani. Aeon Co (M) Bhd (AEON): AEON is a Japanese retail chain that operates General Merchandise Stores (GMS) and supermarkets under the “AEON” brand around Malaysia. AEON stores are generally located in sub-urban residential areas service the middle-income group. Padini Holdings Bhd (PADINI): Padini is an international apparel brand founded in Malaysia marketed under the labels Padini, Seed, Padini Authentics, PDI, P&Co, Vincci, Vincci Accessories, Tizio, Miki Kids and Brands Outlet. Their retail stores spread across more than 16 countries with over 330 retail stores. Nestle (Malaysia) Bhd (NESTLE): Nestle certainly needs no introduction - its consumer food and beverage staples cut across a wide spectrum of products such as ice-creams, powdered milk and drinks, liquid milk and juices, instant coffee and beverages, chocolate confectionery products, instant noodles, culinary products, cereals, yogurt and other food and beverage products. Its brands such as Milo, Nescafe, Kit Kat, Nestum, Koko Krunch and Maggi are popular among Malaysians. Dutch Lady Milk Industries Bhd (DLADY): Dutch Lady started as Pacific Milk Industries way back in 1963 and was the first production facility outside The Netherlands producing sweetened condensed milk. It became the first diary company listed on the Malaysian stock exchange in 1968 and markets its own brand of diary and confectionary products using Dutch Lady and Purefarm brand. OldTown Bhd (OLDTOWN): OldTown White Coffee is the signature brand of the company that operates the largest chain of halal-certified kopitiam restaurant chain in the country. It also has expanded to over 234 outlets regionally such as in Singapore, Indonesia, Australia, China and Hong Kong. Besides running its restaurant business, OldTown also markets its instant beverage mixes such as Ipoh White Coffee, milk tea, roasted coffee powers, instant chocolate drinks and ready-to-drink coffee. Carlsberg Brewery Malaysia Bhd (CARLSBG) & Heineken Malaysia Bhd (HEIM): Both Carlsberg and Heineken (formerly Guinness Anchor Bhd) need no introduction. As the leading alcoholic beverage producers and retailers in the country, their brands are widely known throughout the region. Sales of alcoholic beverages may benefit from the scraping of the GST. Ajinomoto (Malaysia) Bhd (AJI): Another household brand that has deep roots in the country and around the South East Asian region with its flagship AJI-NO-MOTO Monosodium Glutamate (MSG) product. It is now a diverse food and seasoning manufacturer marketing a wide range of food and flavour enhancers for both industrial and household use. British American Tobacco (Malaysia) Bhd (BAT): BAT is a multi-national company engaged in the primary business of cigarette manufacturing and retail. Dunhill, Pall Mall and Kent are among the brands marketed by BAT around the region. Hup Seng Industries Bhd (HUPSENG): Hup Seng is among the most popular crackers, biscuits, confectionery and instant drink mix manufacturers in Malaysia. Spritzer Bhd (SPRITZER): Spritzer is among Malaysia’s largest bottled water manufacturers and distribution of its bestselling brand of natural mineral water. Over the years, it has diversified into various segments of the consumer beverage market with product ranges covering natural mineral water, sparkling natural mineral water, distilled drinking water, carbonated fruit flavoured drink, non-carbonated fruit flavoured drink, functional drink, toothbrushes, preforms and packaging bottles. Fraser & Neave Holdings Bhd (F&N): While better known for its beverage and dairy products such as 100 Plus, NutriSoy, Ice Mountain, Seasons, FruitTree, F&N, Magnolia, Farmhouse and Kings, F&N Holdings also has businesses in publishing and printing such as the Marshall Canvendish publishing house, Times printers and retail bookstore. We will be watching the political developments in Malaysia very closely over the coming weeks. 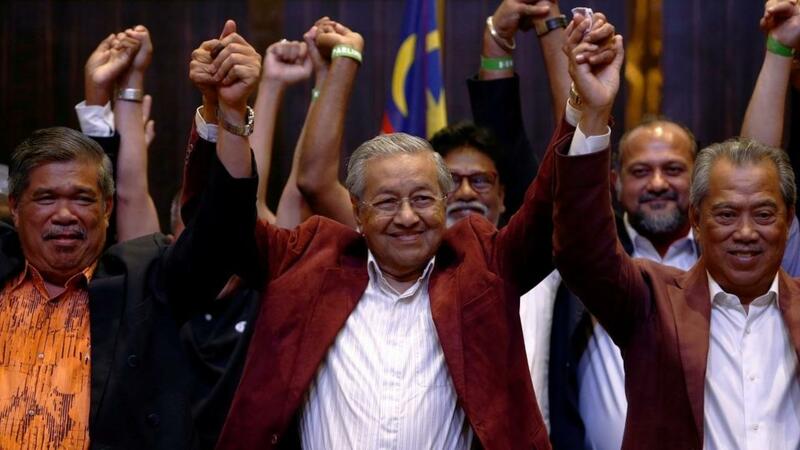 In our previous articles on the Malaysian GE14, we discussed the results of the election and the immediate impact on the markets as well as the potential stocks directly impacted by the leadership change and review of the megaprojects. Do catch this article if you haven't done so! Be sure to follow us to learn more about the profile of Malaysian listed stocks!